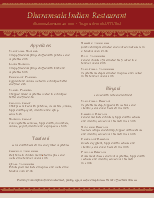 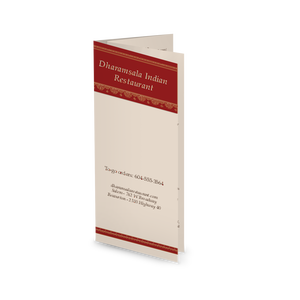 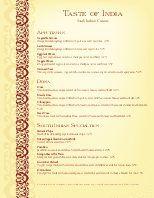 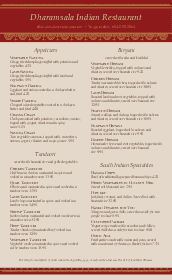 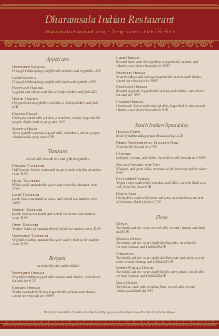 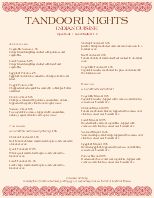 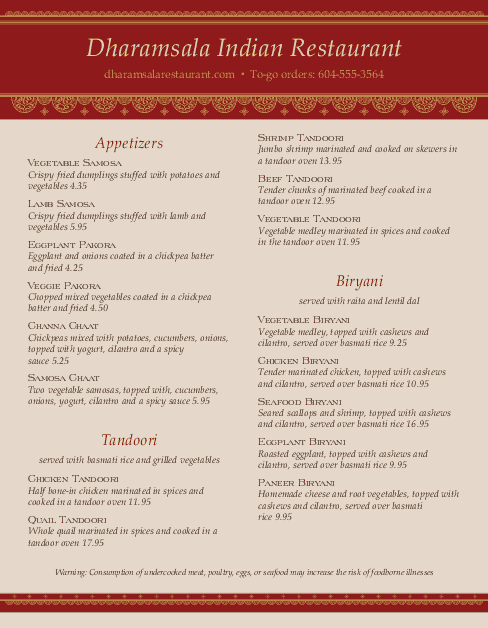 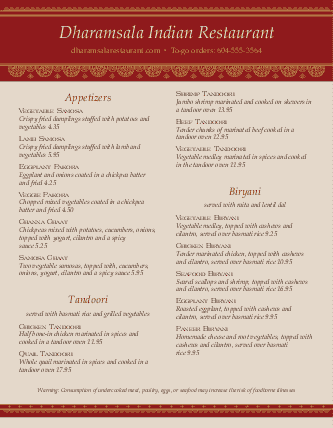 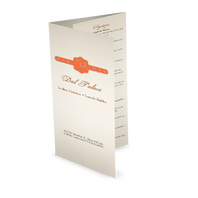 An Indian Restaurant Cafe menu with an intricate red and gold trim. 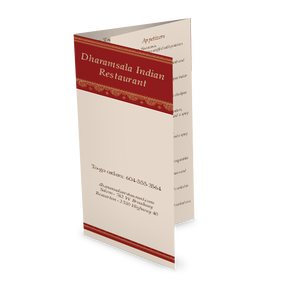 Two wide columns provide space for all your Indian restaurant items: dosa, biryani, tandoori, and other specialties. 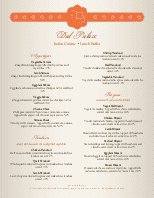 Customize your Indian menu online in the Menu Editor.